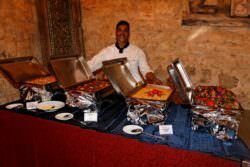 Breakfast and dinner can be selected from a buffet. 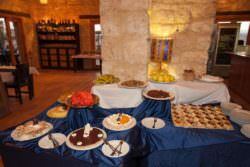 Breakfast is mainly Continental. 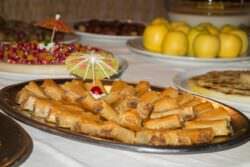 In addition to an egg station, freshly baked bread and croissants, you will also find typical Egyptian breakfast with beans. 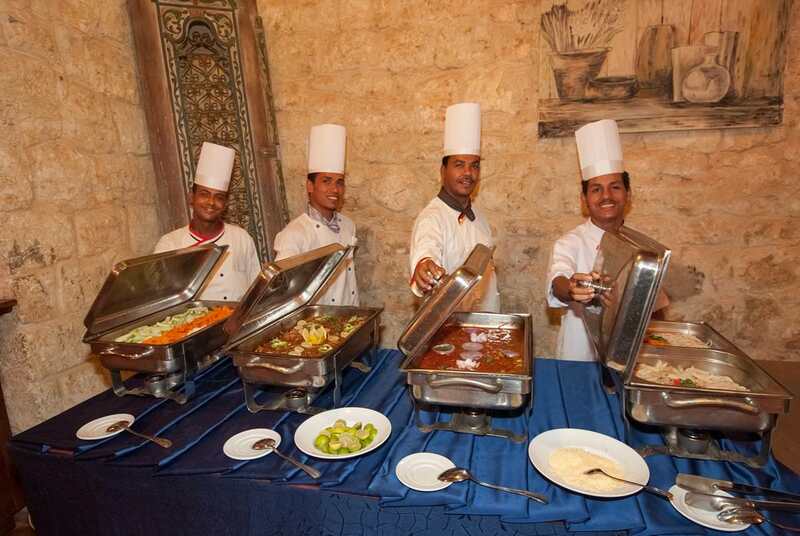 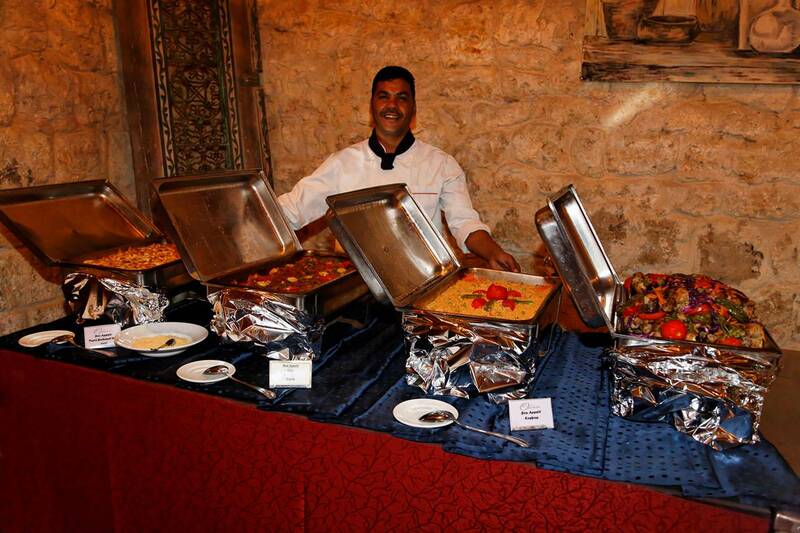 Apart from daily changing soups, a big selection of salads, pasta, chicken, beef and fish are offered at the dinner buffet. 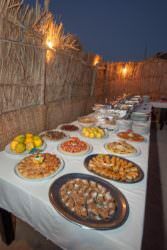 Rice, potatoes and fresh vegetables from the Nile valley complete the selection. 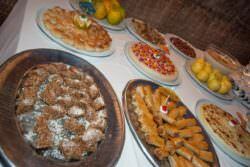 Tasty cakes, fruits and typical Egyptian desserts round off the meal. 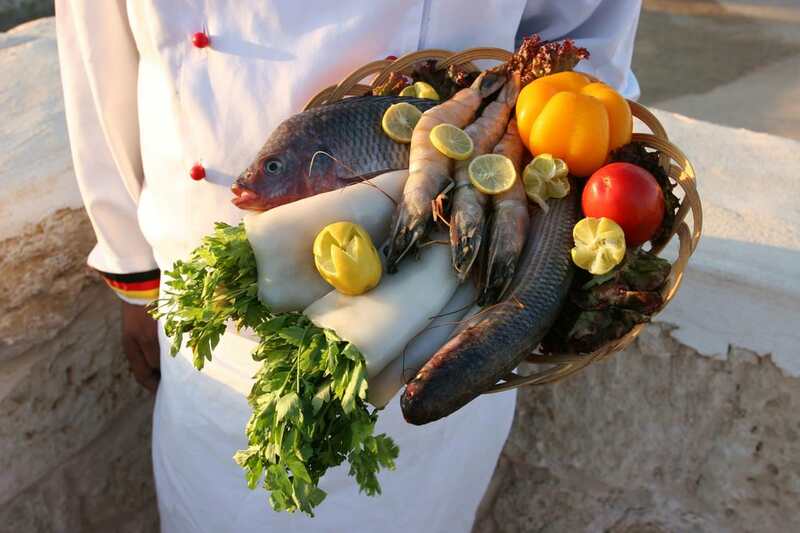 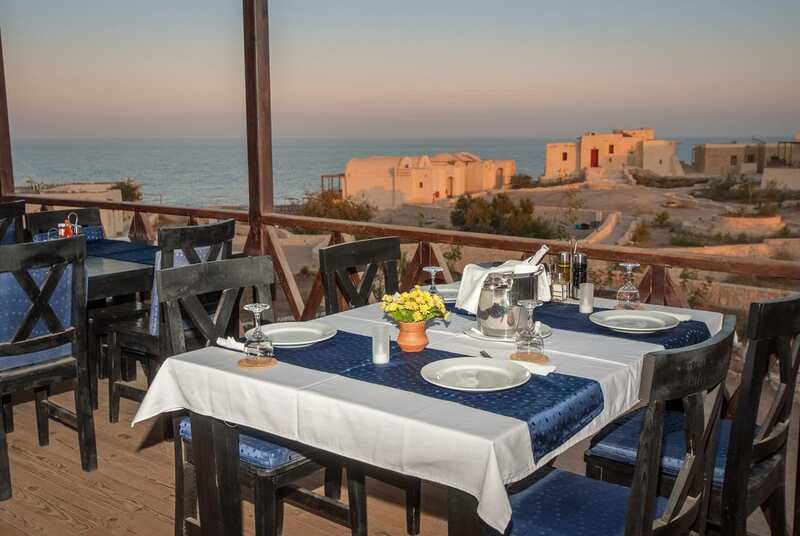 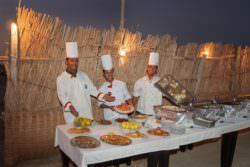 During the day the restaurant offers various dishes as snack between the dives or as a complete lunch à la carte. 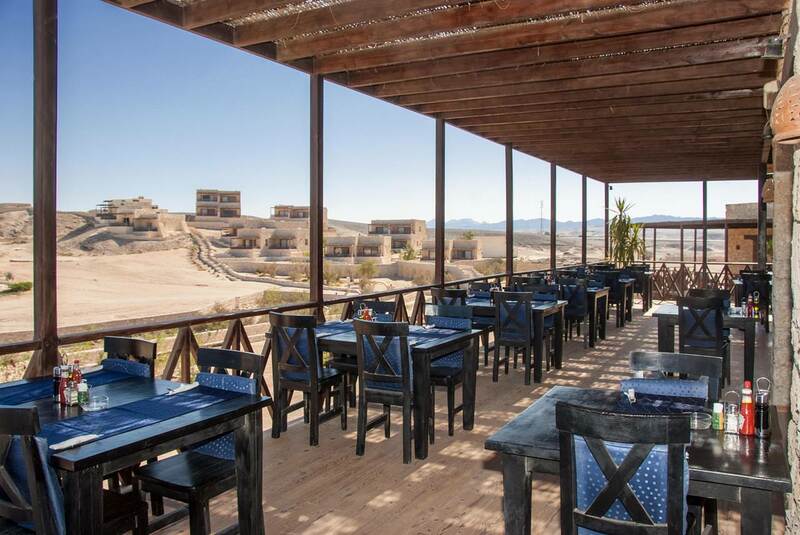 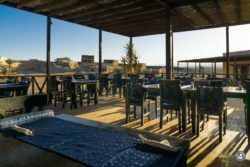 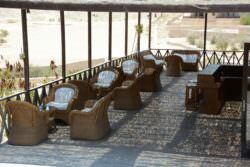 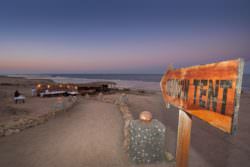 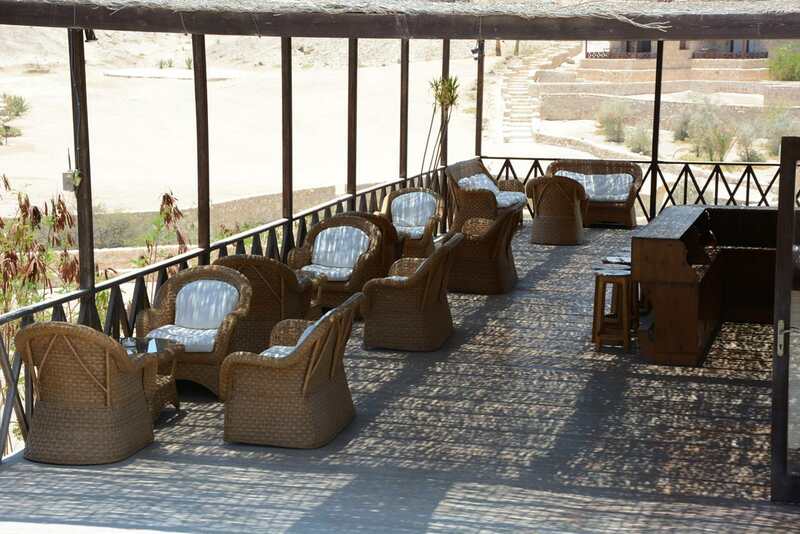 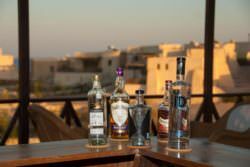 The sundowner bar is not only open at sunset for coffee or cool drinks. 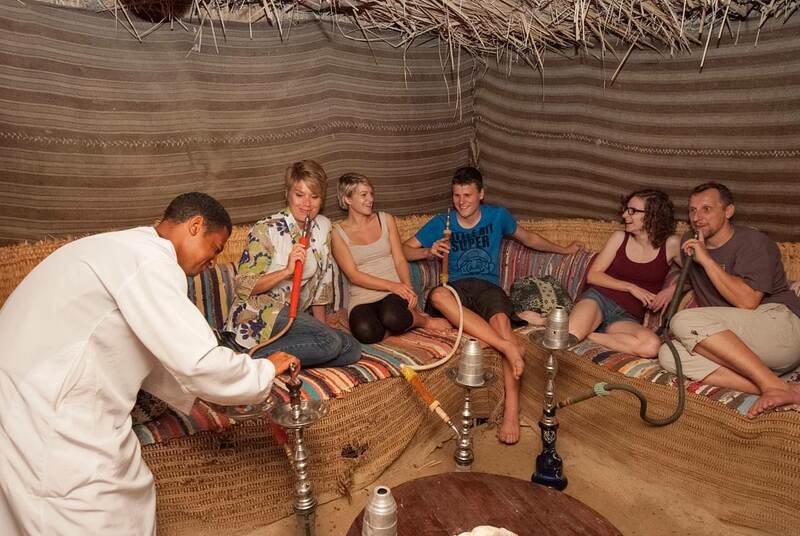 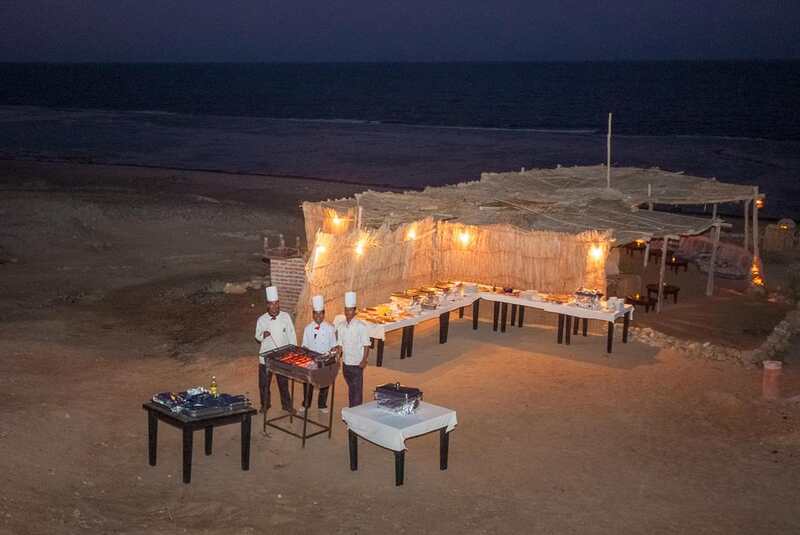 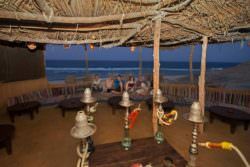 At the Bedouin tent next to the beach, we offer the traditional water pipe (shisha), freshly prepared Bedouin coffee, tasty ginger tea or cold drinks. 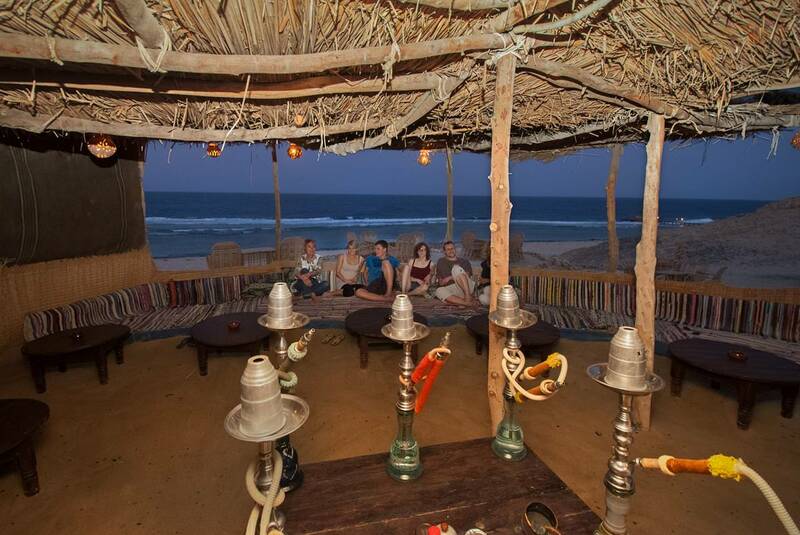 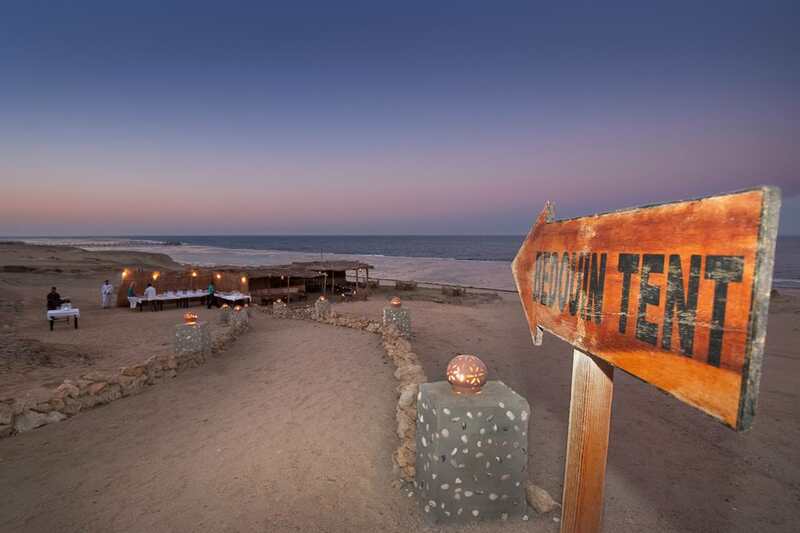 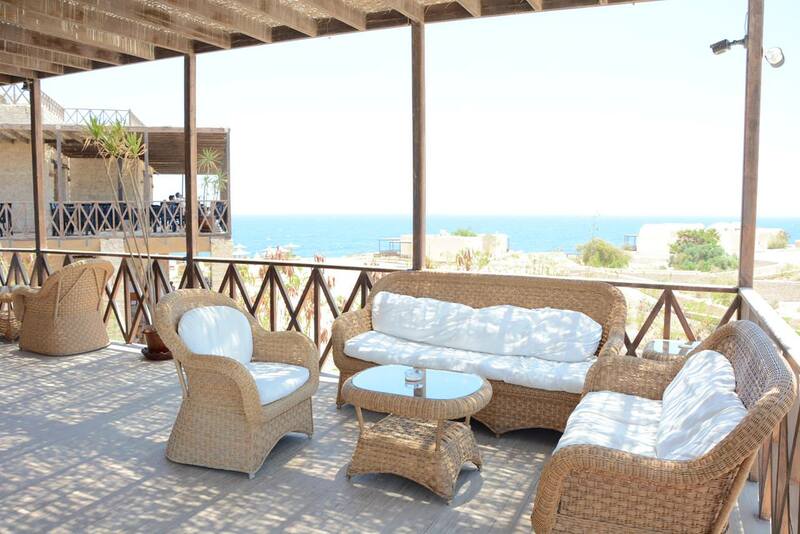 You can spend the evening in a relaxed atmosphere and let yourself be enchanted by the sound of the sea. 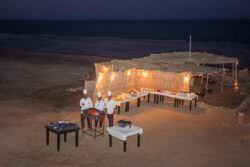 If conditions are suitable, we organize a BBQ here once a week.